Reef Aquariums are a phenomenon in themselves. Nurturing corals related marine invertebrate life in a restricted environment is an uphill task on one hand while being interesting on the other. A carefully chosen set of corals can catalyze the display of your aquarium by many times. It is a good idea to begin your marine aquarium set up with low maintenance corals such as Medusa Soft Coral, a Sphaerella species. You will be pleased beyond words when you will see the enhanced looks of your marine aquarium with Medusa Soft Coral. The following informative discussion briefs you about the various features of Medusa Soft Coral vis-�-vis your marine aquarium. Other names: Belonging to the family Paralcyoniidae, the scientific name of Medusa Soft Coral is Sphaerella species. The coral is also commonly known as Xmas Tree, Christmas Tree Soft Coral, Potato Coral, Snake Locks Coral, French Tickler and Medusa Tree Coral. Coral type: As the name suggests, Medusa Soft Coral is a type of Soft Coral. Origin or natural range: Medusa Soft Coral originates in the Indian Ocean and the Pacific Ocean. Size: A small sized Medusa Soft Coral may be 2 inches to 3 inches long, a medium sized Medusa Soft Coral is 3 inches to 5 inches long while, a large sized Medusa Soft Coral is 5 inches to 7 inches long. The size of a Medusa Soft Coral may however, vary being contingent upon many factors such as, the depth of the marine water, surrounding environment, the marine water movement in the vicinity of the Spherella species, etc. Color: The color variations of Medusa Soft Coral include brown, tan and cream. Compatibility: Medusa Soft Coral is relatively non-aggressive as compared to the other marine invertebrates. Temperature: A temperature variation of 72 to 78 degrees Fahrenheit is ideal for the growth of Medusa Soft Coral. Specific gravity: The coral is comfortable with a specific gravity range of 1.023 to 1.025.
pH: The pH level of the water in your aquarium containing Medusa Soft Coral should be maintained between 8.10 and 8.40. Illumination: Medusa Soft Coral requires low illumination levels as it has a symbiotic relationship with photosynthetic algae, zooxanthellae. The alga lives within Medusa Soft Coral. Water flow in the aquarium: Your marine aquarium should maintain a moderate water flow for Medusa Soft Coral. Marine aquarium habit & habitat: Permanently settle Medusa Soft Coral on the sand, gravel or rubble at the base of your marine aquarium. Allow ample space for the Sphaerella species to spread its sweeper tentacles. Medusa Soft Coral closes its tentacles at night resembling the shape of a round or an oblong potato while, during the day it opens its tentacles and looks like a branches down Christmas tree. Feeding: Medusa Soft Coral is carnivorous in its feeding nature. You will need to feed the coral directly. Medusa Soft Coral filter feeds miniscule marine invertebrates such as Mysis Shrimp and the other acellular planktons a few times per week when it is open. Also, supplement the water with Iodine, Strontium and trace elements regularly. The coral will derive nutrients from these elements. Care: Medusa Soft Coral is a low maintenance coral. 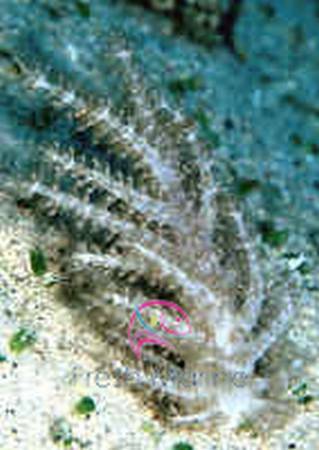 Medusa Soft Coral gives you the best bet as it is easy to maintain while being attractive as well. Medusa Soft Coral gives you an actual value for money.